For an easy yet stunning Anushka Sharma’s eye makeup look from the movie Sultan, here is what you got to do! ‘Sultan’ is all set to be released tomorrow. 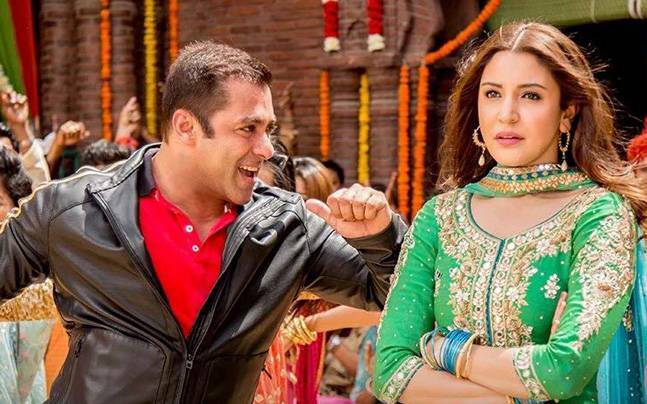 Based on a small town wrestler from Haryana featuring our ever-handsome Salmaan Khan and gorgeous Anushka Sharma, this movie is a sports-drama. Anushka is playing the role of wrestler Aarfa. She looks ethereal as a bride in the movie. Even though her overall makeup look is rather plain and simple throughout the movie, however in the famous Bollywood song from the movie- “Baby ko pasand hai” and the wedding sequence, she looks simply stunning. Dressed in a bottle green salwaar kameez, with her hair open in the peppy track which has already climbed up the music charts of this week, Anushka a.k.a Aarfa looks like a girl-next-door which can inspire any and every girl out there who is looking for ideas of an ultimate festive look. 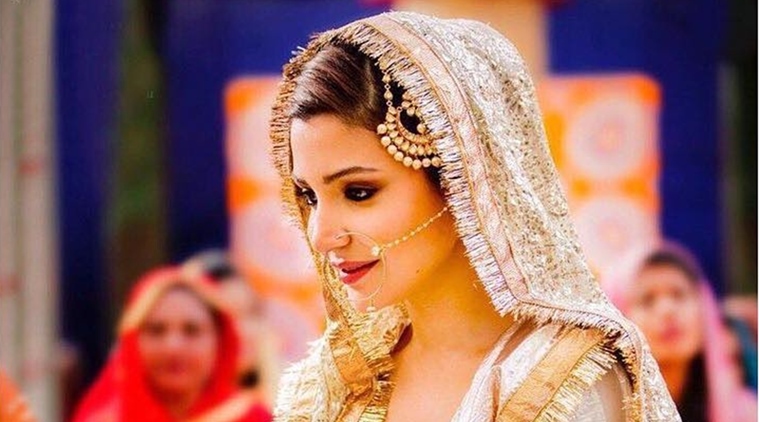 Dressed as a bride for a wedding scene in the movie, Anushka is seen wearing a traditional bridal ensemble for a wedding set in Haryana and this one of the key looks of the actress in the movie. She is seen in a handcrafted traditional chikankari ensemble embellished with bespoke technique representing the Mughal period look of zardozi, including elements of kundan and gota. The outfit is mind-blowing and so is her makeup! 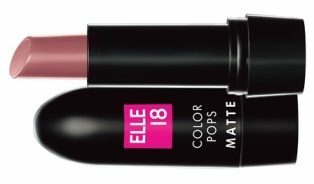 There is a dab of blush on the cheeks and a coat of summer-inspired color on the lips, but what makes her stand-out is the simple yet unique eye makeup. Black liquid eyeliner is a remarkable beauty product. It works on all eye colors, is versatile and works to fill in lashes as well as brighten tired eyes. Whether it’s a daytime look or a night party to go to, a black eyeliner which is liquid based- creates the most defined liner look as opposed to pencil or gel. It is smudge-proof and tends to last longer too! To complete the look, opt for a mauve or a lightest shade of purple for your lips. It goes specially well with a dark green outfit! Mascara by far is the most underrated cosmetic. Most Indians think that they don’t need it. Why, you make ask! Cause they think that already thick eyelashes can do very well without a coat of mascara. But, they are wrong. Mascara is required to enhance the eyes and tame those lashes. Whether you have thick lashes or you don’t, application of mascara is not determined by this factor. One still needs it to darken, thicken, lengthen, and/or define the natural eyelashes. Moreover, you need bit of a drama in your life. Don’t you? For a pretty Aarfa look, apply a layer of dark pink or light purple blush on your cheeks. Brown eye shadow can either give your eyes a natural look (when applied in less quantity) or make your eyes look intense (if applied in larger quantity). Besides, brown shade works exceptionally well on fairer complexion. So, it naturally stands out! 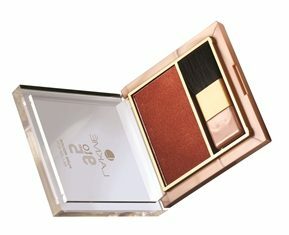 The versatile quartets of vivid, high-intensity eye shadow powder can give your eyes a defined finish. The radiant color and shimmer particles shape and highlight your eyes to give you that professional edge. Use the lighter shades of browns for office wear and darker shades for your night look.